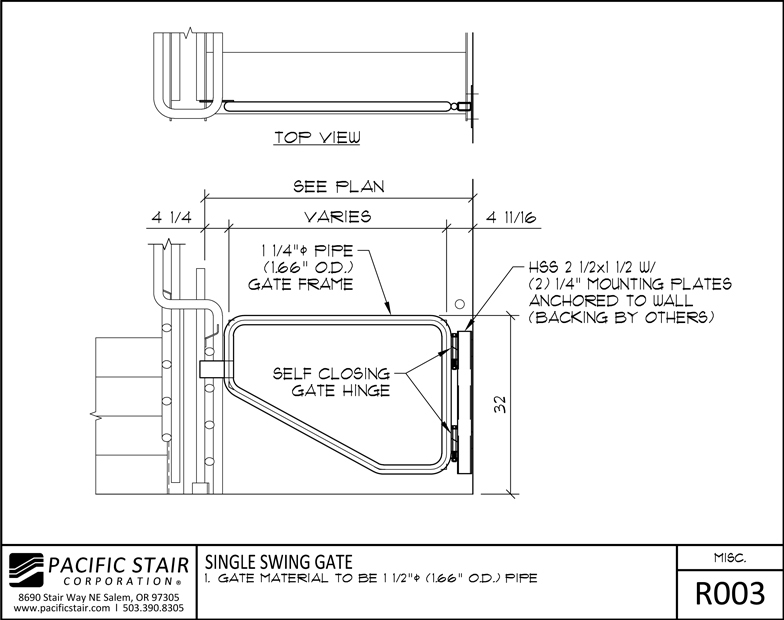 Pacific Stair Corporation's Custom Gates are approved IBC and NFPA barriers that prevent persons from unintentionally continuing into levels below exit discharge. Our custom gates are made with a steel pipe frame and are attached via wall anchors. Our standard gate is a spring-loaded single swing; a double swing gate is available for wider stairs. 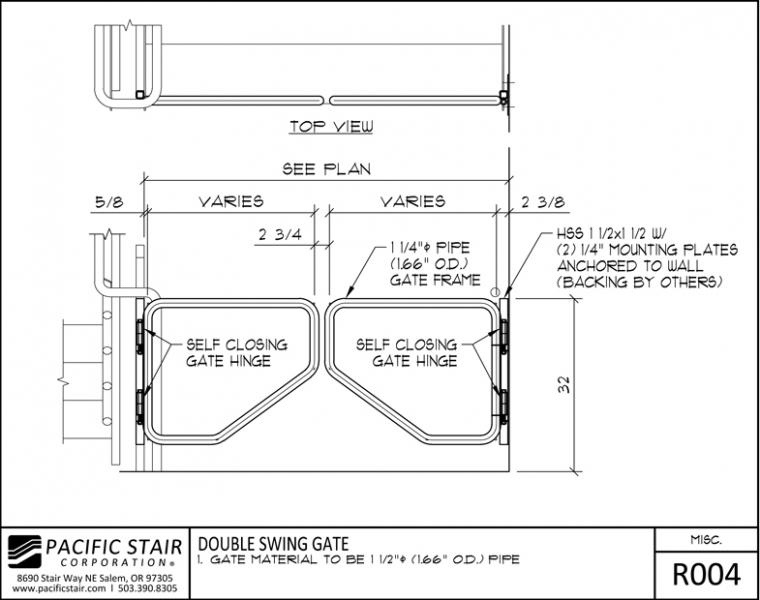 Custom gates are only sold with complete stair packages. Need a quick egress gate solution? Buy universal fit gates directly through EgressGate.com - ships within 2-3 days. Click Here to download more details from our library.